Use this shake as a meal replacement to save calories. 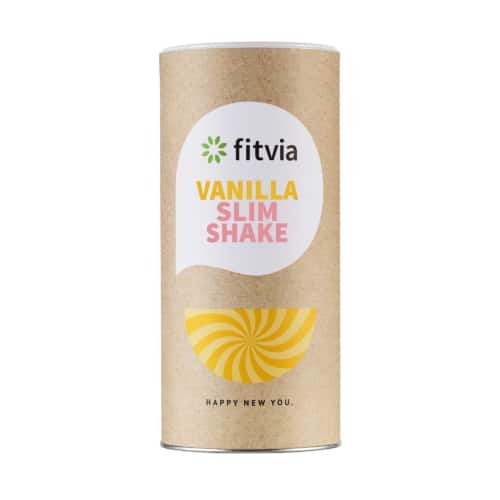 The Vanilla Slim Shake contains more than 23 g protein. Our Vanilla Slim Shake contains selected Superfoods. Stevia provides a natural sweet taste. 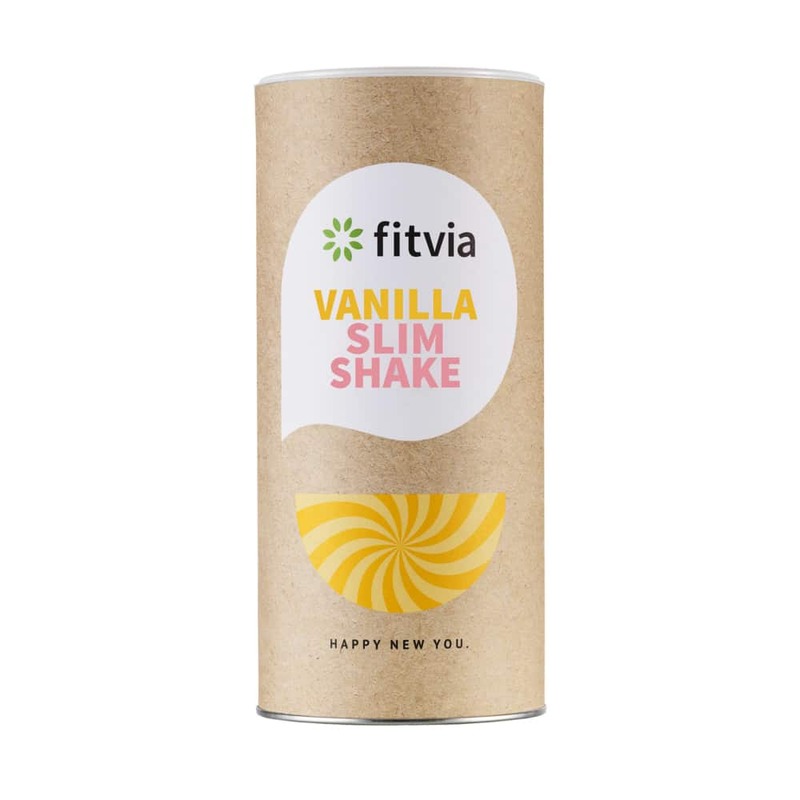 Our Slim Vanilla Shake is your perfect companion for your weightloss journey. With 23g of protein and all-natural ingredients such as Guarana, Green Tea, Ginger, Zinc and Vitamin B6 this shake is the perfect meal replacement. Just mix your shake (25 g) with 250 ml of low fat milk and replace your lunch or dinner. One serving will only have 209 kcal. Natural vanilla for an intense taste. Green tea helps boosting your metabolism. Natural fibre of the Chicoreé root to feel satied. Guarana contains natural and stimulating caffeine. Milk protein, inulin, oat fibre, wholemeal oat flour, natural vanilla flavour and flavouring, ground psyllium husks, L-Carnitine-Tartrate, sunflower lecithin emulsifier, green tea extract, guarana extract, ground ginger, zinc oxide, Vitamin B6, silicon dioxide separating agent, steviol glycoside sweeteners. May contain traces of soya, egg and lupines.